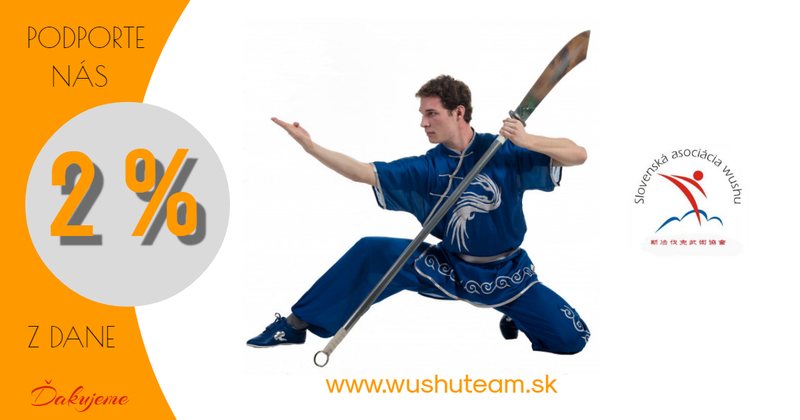 Your 2% of taxes can help develop young wushu talents in Slovakia and open the door to the World for this beautiful sport in Slovakia. 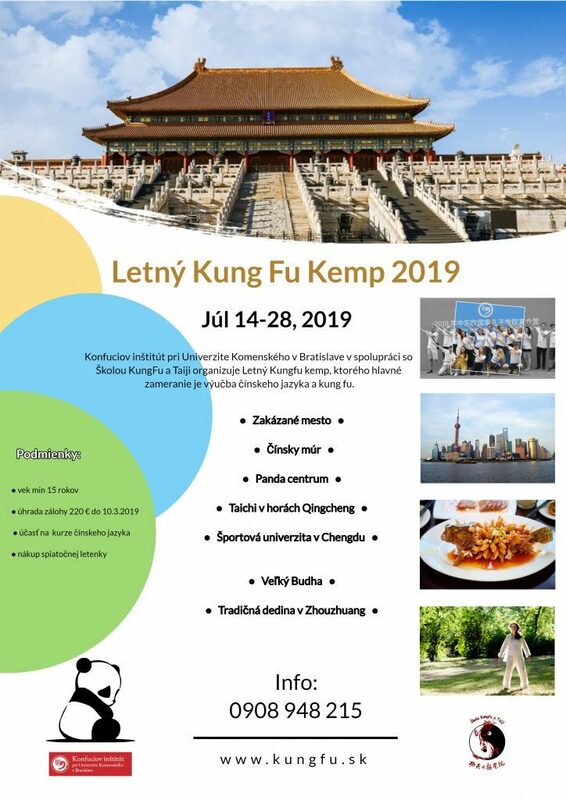 Confucius Institute in Comenius University Bratislava along with School of Kungfu and Taiji organize Summer kungfu camp. Main goal is study of Chinese language and kungfu. If you’re interested, please contact us at kungfu@kungfu.sk or let us know directly on training until 10th March 2019. After long six years we are here again with The night of Chinese martial arts! Also your 2% of taxes help us to participate on great competitions in China. THANK YOU!